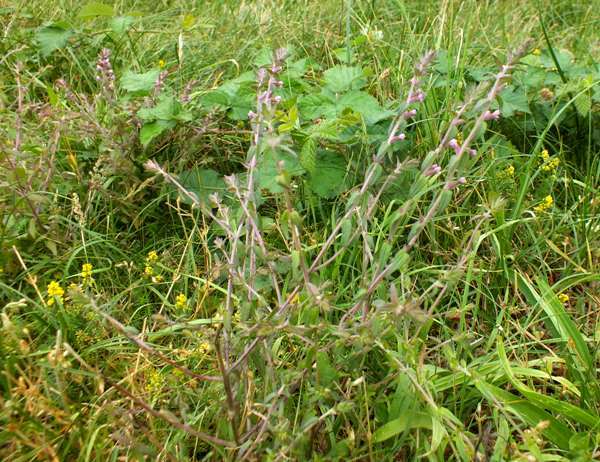 Red Bartsia is widespread and common throughout the UK and Ireland. It is also found in northern and southern Europe, although it is absent from some of the islands in the Mediterranean region. This plant is easy to overlook especially when growing in tallish grass. 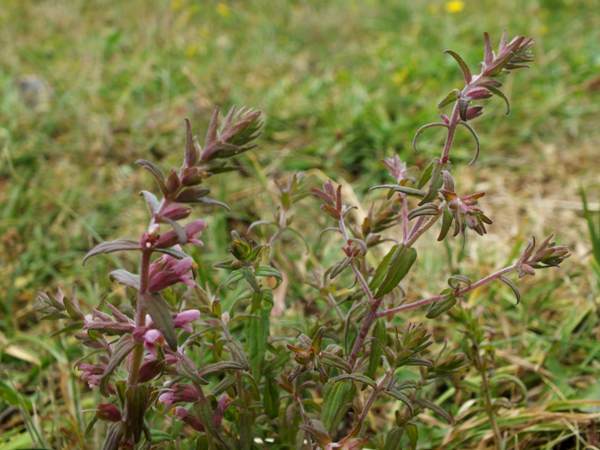 It is semi-parastic on the plants that grow alongside it, and is common on disturbed land and the sides of tracks as well as on the margins of farmland. Red Bartsia flowers from June until September brightening up the landscape when many other flowers have died back. The plants on this page were photographed in mid-Wales in July.